After a brutal killing of a Christian couple in the Punjab province of Pakistan, a purported picture of the couple became part of most news reports and quickly spread across social media. However, Asif Aqeel, reporting for World Watch Monitor in Pakistan, determined that the picture was not accurate. Aqeel shared his account of this tragic story during a workshop on factual reporting led by World Watch Monitor co-founder Julia Bicknell during the October Crisis Publishing Initiative conference in Sopron, Hungary. The session was one of twenty workshops focusing on the myriad of challenges facing reporters, editors, and publishers in the midst of crises. The conference, hosted by Colorado Springs-based Magazine Training International, combined specific skill areas such as reporting and photography, along with a deeper understanding of the context in which modern crises unfold. Dr. Miriam Adeney, author of Kingdom Without Borders: The Untold Story of Global Christianity and professor at Seattle Pacific University, opened the international gathering by exhorting attendees to operate from a biblical foundation in their work. 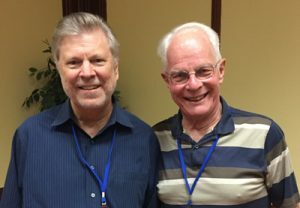 Evangelical strategist and futurologist Patrick Johnstone, author of Operation World, The Future of the Global Church, and Serving God in a Migrant Crisis (with Dean Merrill), underscored the historical context of current crises, particularly migrant flows. An understanding of church history and world history, including colonialism, are essential in accurately portraying the complexity of current events, said Johnstone. He presented compelling research indicating that migration flows will increase in the future. Mindy Belz, senior editor of WORLD magazine, highlighted the importance of on-the-ground sourcing as she shared her experience of getting to know Christians in Iraq. Jeremy Weber, senior news editor of Christianity Today, shared about the value of partnering with local experts in respectfully covering refugees. He was joined by Yara Chehayed who works as a communications officer for World Vision Lebanon. In speaking about how the concept of religious freedom as a universal human right is being challenged, international religious liberty analyst Elizabeth Kendall documented how global trends in persecution are escalating, and there is a great need for a voice for the suffering church. Along with learning from international experts, a personal highlight was connecting with magazine professionals from around the world. Lydia, a conference co-sponsor, is a Christian women’s magazine celebrating 30 years of publication in Germany. 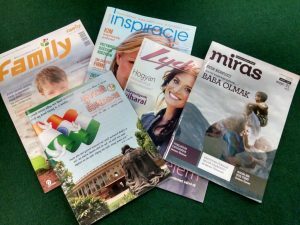 Sarolta Rozgonyi, editor of Lydia Hungary, shared how their focus has shifted to original articles from Hungary rather than using articles translated from German. According to Rozgonyi, readers want to hear how God is working in their own country. Attendees at the conference came from North America, Europe, Asia, Africa, and Australia. Among the 22 countries represented were Romania, Russia, Japan, India, Malaysia, Pakistan, South Africa, and Sweden. EPA participated as a coalition member for the Crisis Publishing Initiative and Executive Director Lamar Keener and Theresa Keener attended and assisted with the conference. The mission of Magazine Training International (MTI) is to encourage, strengthen, and provide training and resources to Christian magazine publishers as they seek to build the church and reach their societies for Christ. Over the years, many EPA members have been trainers for MTI courses and international conferences. Carla Foote is a freelance writer and editor. She is a board member for MTI and a former board member for EPA. Photo caption (top): EPA Executive Director Lamar Keener, left, and Patrick Johnstone, author of Operation World.